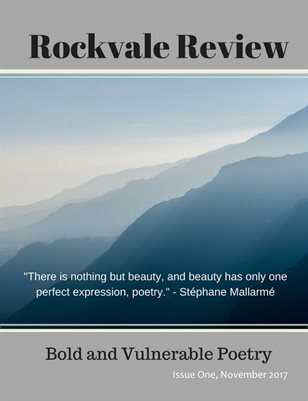 Rockvale Review is a poetry journal that believes language is power, and poetry is one conduit for unleashing that power. Poets have a unique way of seeing the world and sharing experiences, emotions, dreams and passions. Their voices raise awareness, challenge stereotypes, create beauty, pose questions, speak personal truths, and spark imagination. This poetry journal celebrates the poetic voice and supports the journey of poets. All voices are welcome. Come, experience the power of words.